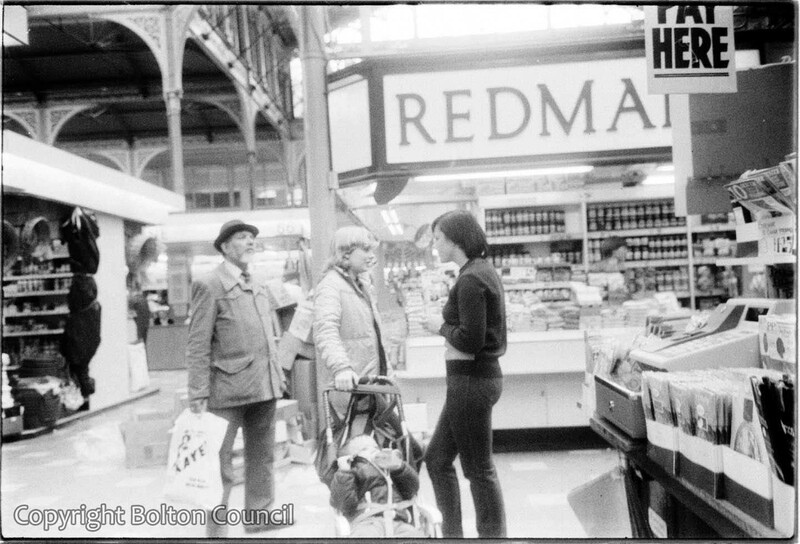 Redmans Dried Fruits and other stalls in Bolton’s market hall in the early 1980s. The hall has now become an indoor shopping centre. Bolton’s other market on Ashburner Street is still open and bustling (2012).